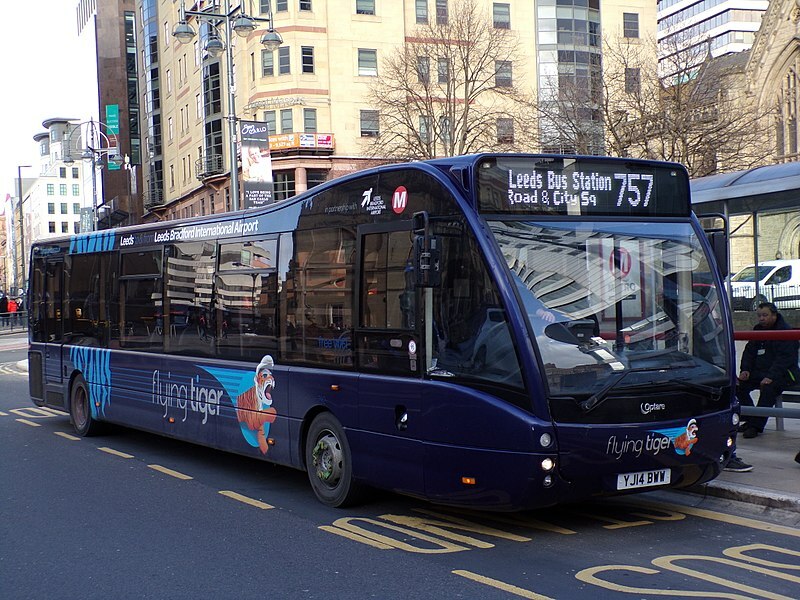 We’re jetting off to Leeds Bradford Airport today on #AYearOfBuses, for a look at Yorkshire Tiger’s Flying Tiger 757. 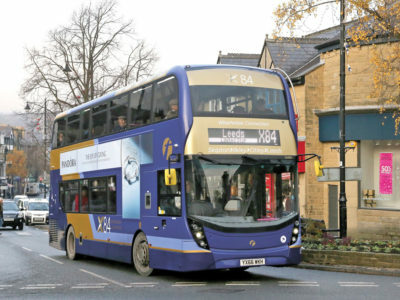 Arriva launched their Flying Tiger brand in 2014, for routes to Leeds Bradford Airport from Leeds, Bradford and Harrogate. 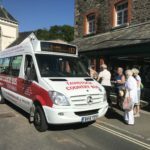 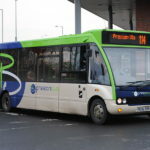 Rather cleverly, they use the route numbers 737, 747 and 757 – the focus of today’s article here on #AYearOfBuses. 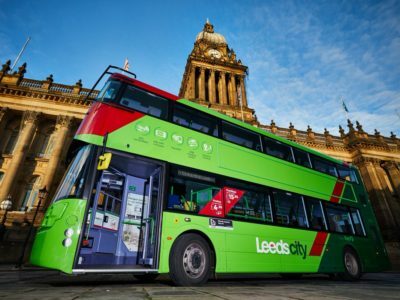 Flying Tiger 757 (Leeds) was the first of the routes to receive a major upgrade in 2014, with a fleet of new, bespoke Optare Versas boosting the frequency to every 20 minutes. 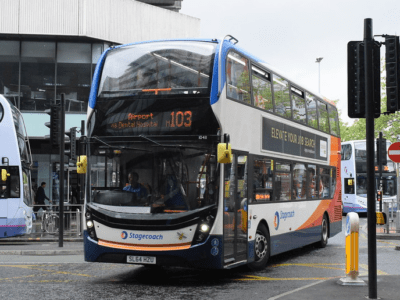 Dressed in a striking deep blue variant of the Tiger livery, they featured the company’s mascot sporting aviators and a pilots hat – a nice, cheeky twist on the already-quite-sassy Tiger found on the company’s orange buses. 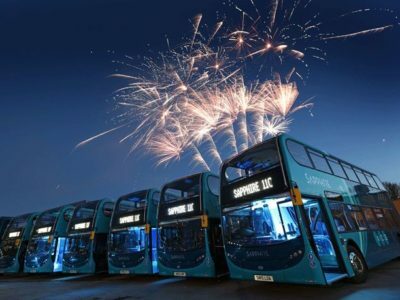 The new buses featured large luggage racks complete with ski storage, e-leather seats, audio announcements, and unusually, both 3-pin plugs and USB power at most seats. 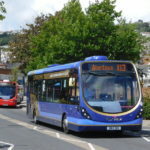 Since the Versas were launched, they’ve been supplemented with a fleet of new Alexander Dennis Enviro200MMCs branded for routes 737 and 747, although they often creep onto the 757, too!